The eastern regions of Perth come alive this autumn to celebrate their annual Autumn Festivals. Taking place at various locations along the Swan River, in the majestic Perth Hills and in the sumptuous Swan Valley region, it is worth taking the family out for a day to enjoy these outdoor events in a picturesque venue. The 17th annual Bickley Harvest Festival will be held on Saturday 3rd May and Sunday 4th May from 10am-5.30pm. This day will celebrate the bountiful produce that this region has to offer. 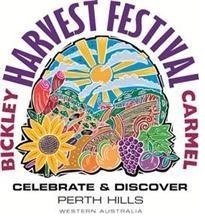 The Bickley Valley is 35 minutes drive east of Perth and a special Harvest Bus will be providing a pick up and drop off service to all 16 participating venues. Vistas of the vineyards and orchards make the drive to the area very pleasant. [ADVERT]Visitors to the festival can participate in a variety of activities such as enjoying the work of local artists, indulging in wine tastings and taking home some fresh local produce from roadside fruit and vegetable stalls. Be sure to take the time to admire the beautiful and lush surroundings of the Bickley Valley. There are beautiful forests, stunning wildflowers and tranquil walk trails. There is also an abundance of bird and animal life and running creeks and waterfalls in the area. For more information check out the Bickley Harvest Festival website. The City of Swan and Lotterywest will be holding their 19th annual Bike in the Valley ride on Sunday 27 April. Registration is from 9am and the ride begins at 10-am. This years ride will follow a path through the quiet rural streets of The Vines and will wind its way through natural bush, manicured golf curses and rural homesteads. There are a range of distances to cater for all fitness types - 6km, 12km and 23km. The route will be well signposted and marshalled. Non riders will also have plenty of fun with bike cllinics, cuddly animal farm and pony rides. The end of the bike ride will be celebrated with a sausage sizzle in the park or you can bring your own picnic. simona.willis@swan.wa.gov.au or call 9377 618. A showcase of art in all its forms will be held on Sunday, 4 May from 10am – 3pm in various venues in Bassendean. There will be artists discussing their current works, artworks available for purchase as well as exhibitions, workshops and markets. Art in all its forms will be celebrated, including; painting, drawing, sculpture, printmaking, ceramics, jewellery, textiles, fashion, design, metalwork, film and photography. What a great opportunity to go behind the scenes and have an opportunity to experience artists at work in their studios. For more information call 9377 8000 or visit the Town of Bassendean website.